In 1968, the average cost of a new Ford Fairlane was $2,822 and gas was $.34 cents a gallon. 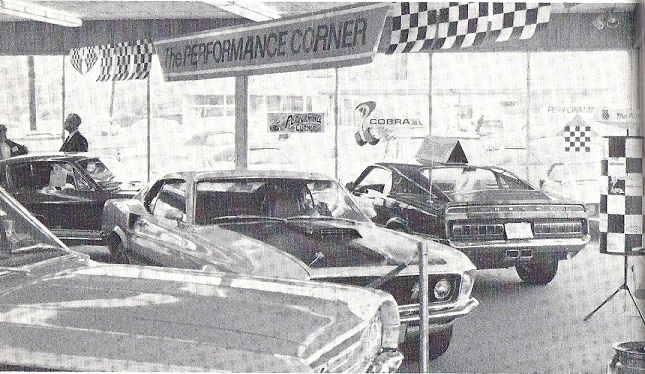 A half-century ago Riverside Ford opened its car dealership in Macon and made customer service their first top priority. For this reason - and many others – Riverside Ford is proud to be celebrating over 50 years sales and service. The interstate highway system was spreading across the nation, and a growing web of asphalt routes that linked the country. The most significant of GDOT projects, Interstate 16 (Jim Gillis Historic Savannah Parkway) opened in 1968 and was added to Eisenhower’s Interstate System. Construction on the Macon Coliseum began in 1967 and was completed in 1968. The $4.5 million Macon Coliseum opened with its first show "Holiday on Ice." The Macon Coliseum was the first facility of its size and kind in Georgia. It quickly became Central Georgia's premier sports and entertainment, with concerts by Elvis Presley, Led Zeppelin, the Allman Brothers Band, KISS, James Brown, Jackson 5, Prince, Hank Williams Jr., Red Hot Chili Peppers, Elton John and many others. Middle Georgian's were introduced to a brand new Hilton hotel in downtown Macon on First and Walnut Street. Designed by famous hotel designer Morris Lapidus, who designed Miami Beach’s iconic Fontainebleau and Eden Roc hotels, the hotel boasted modern facilities for meetings, banquets, receptions and conventions. You could step back in time at the Hilton's Silver Dollar Lounge - a bar that was designed to mimic the old west or dine at the Beef Barron, which served some of the finest cuisine east of the Mississippi. Macon was introduced to the brand new Hilton hotel in downtown Macon while Ford introduces the all-new Thunderbird.